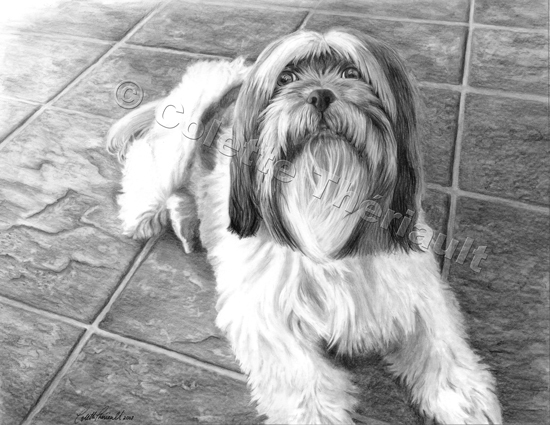 Custom pet portrait commissioned by Mr. Dan Grant-Hose as a memorial gift for his spouse. Since Mr. Grant-Hose did not have a clear photograph of the pose, I used his feedback to truthfully capture Punky's spirit. 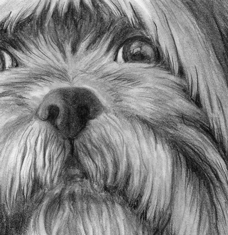 Read what this client had to say about this shih tzu portrait below.